Thank you for clicking on my page! 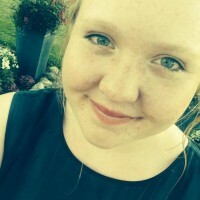 My name is Othilia and I live a city called Tønsberg. In May 2015 a group from my school and I are going to run 10K for this amazing program. The Bátor Tábor Foundation organizes summer camps for children with chronic illnesses. Disease should not be an obstacle to having fun. It is an honour for me to contribute to this fantastic foundation. Thank you for helping us reach our goal!